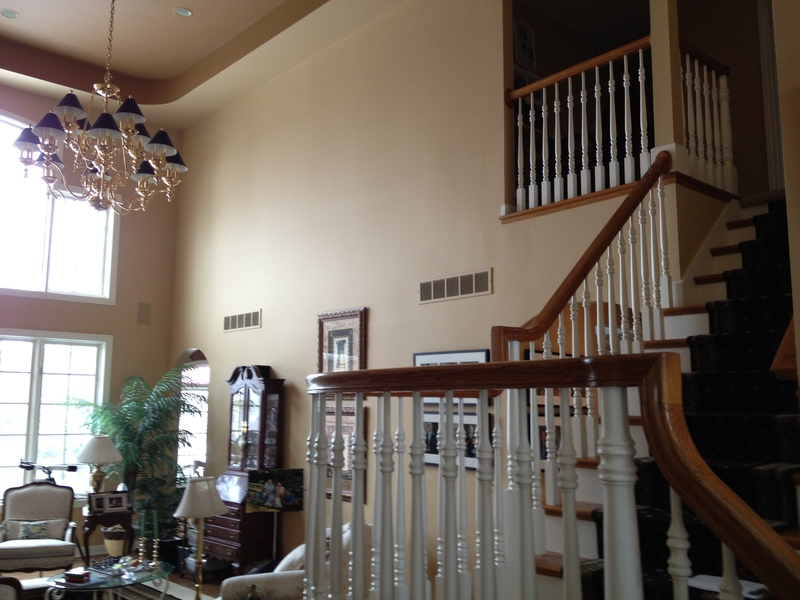 This great room took some careful ladder work. 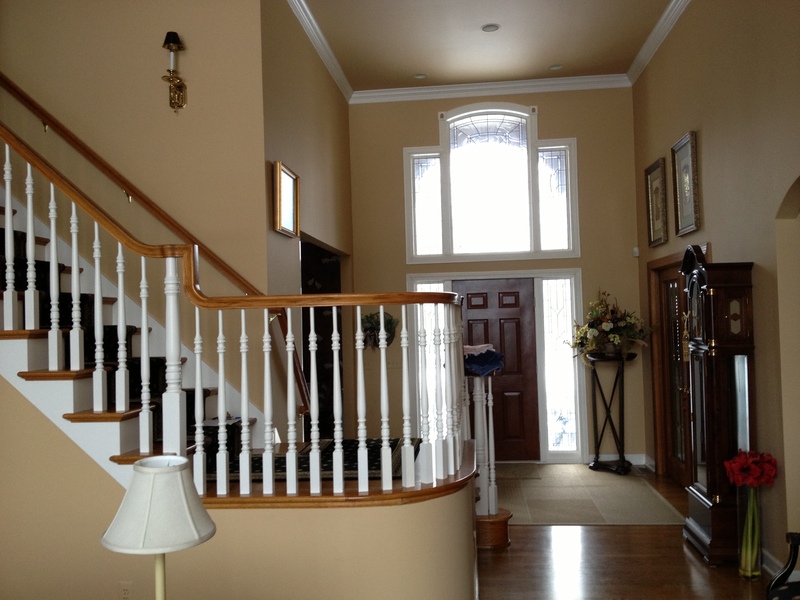 Here’s a picture of the finished foyer that is attached to the great room. Deck Preparation- Sanding to remove mill glaze from new cedar before staining. 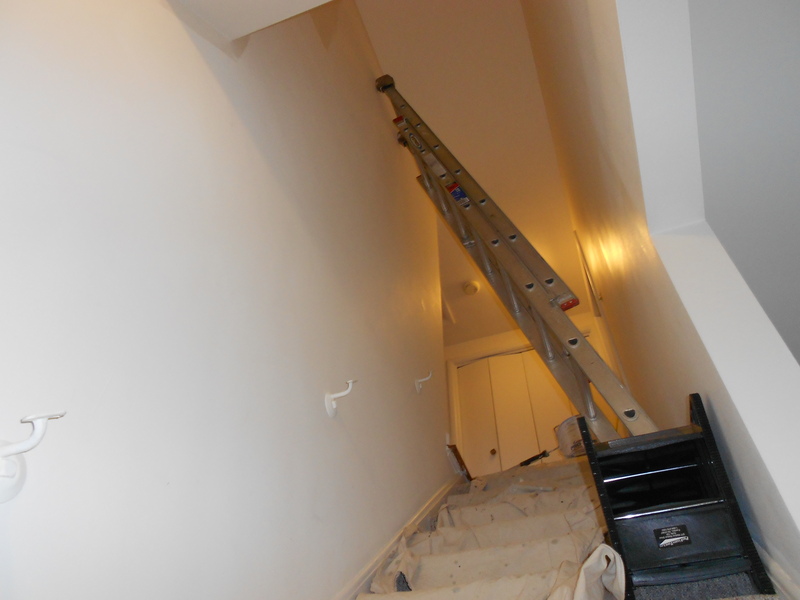 Note that we removed the railing spindles (black aluminum) for a more efficient & thorough job. 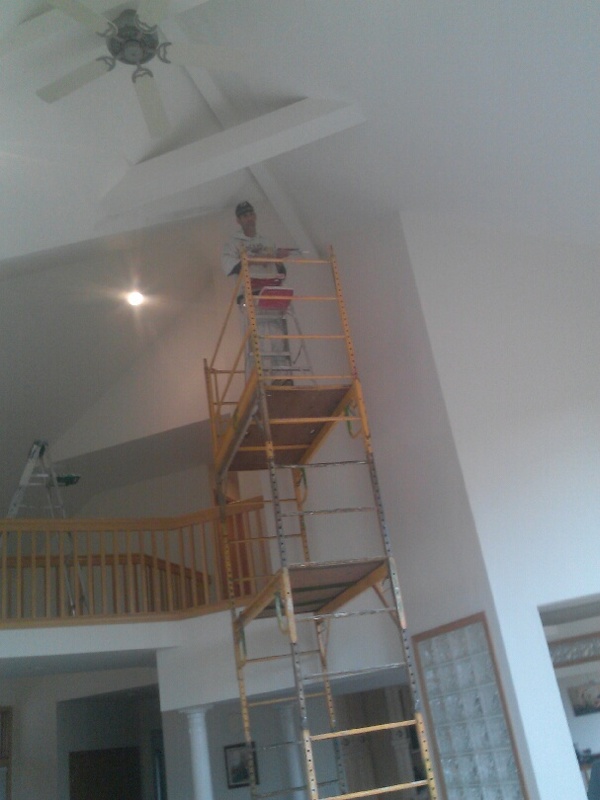 Here is Ray, working on scaffolding- the only option for repair and painting of this ceiling. Prepping a great room ceiling. We have all the proper tools to safely reach tricky areas. 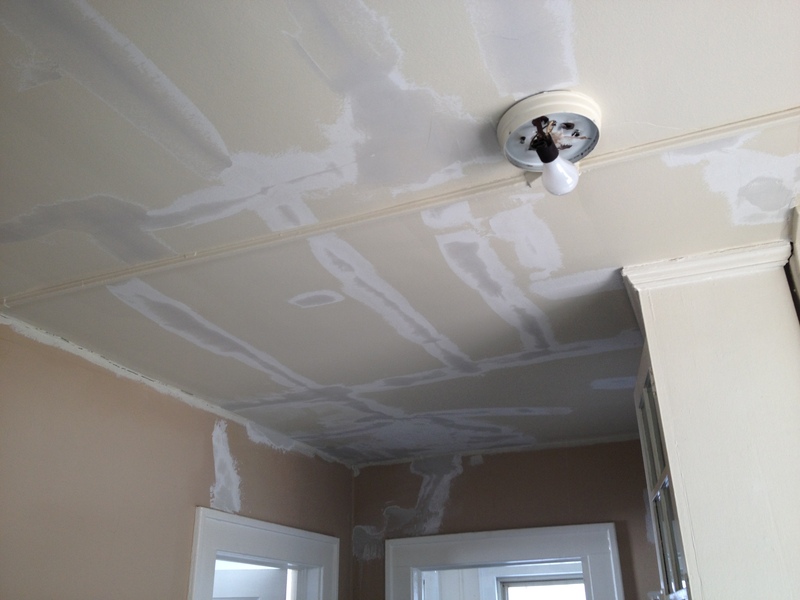 Floating & Sanding- Old cracked & crumbling plaster walls and ceiling brought back to life. 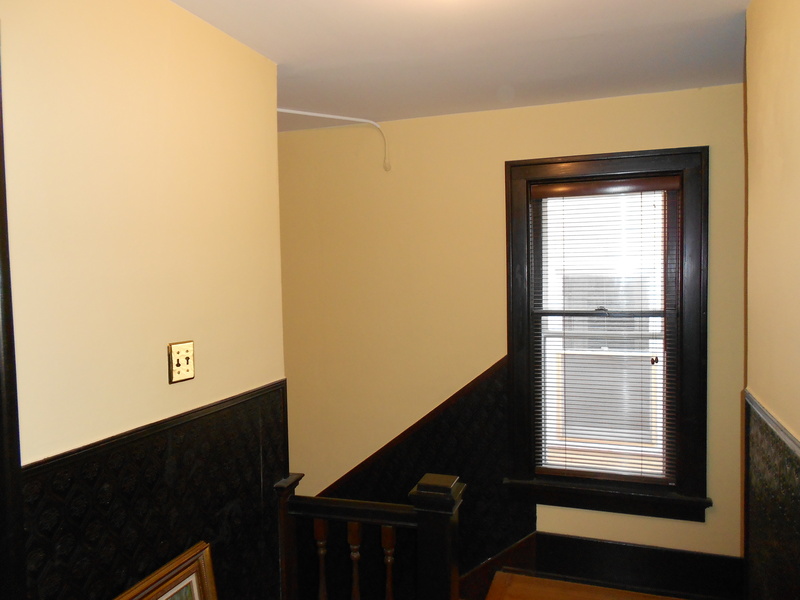 A former student rental, we also removed old paint spots, cleaned up, & restained the woodwork. It’s fortunate no one ever painted over the original leather wallpaper. 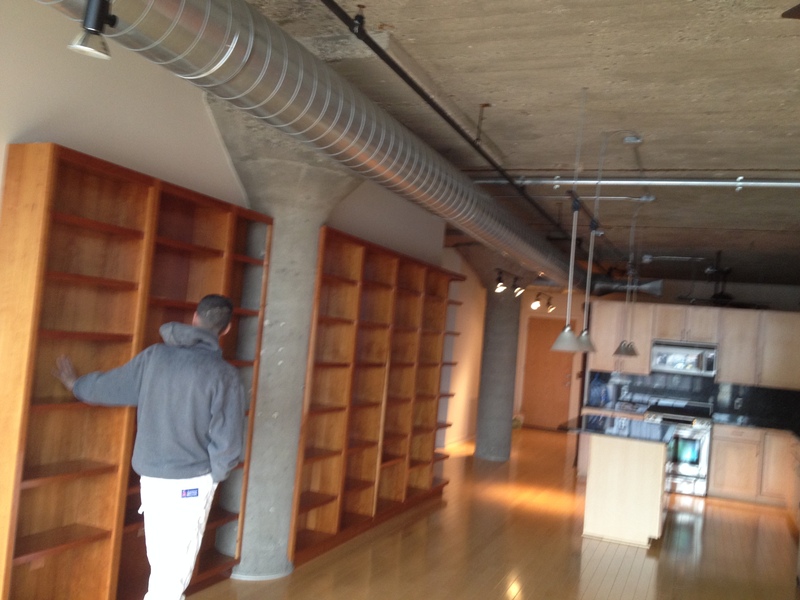 Here, we are getting ready to paint a nice loft in downtown Ann Arbor. 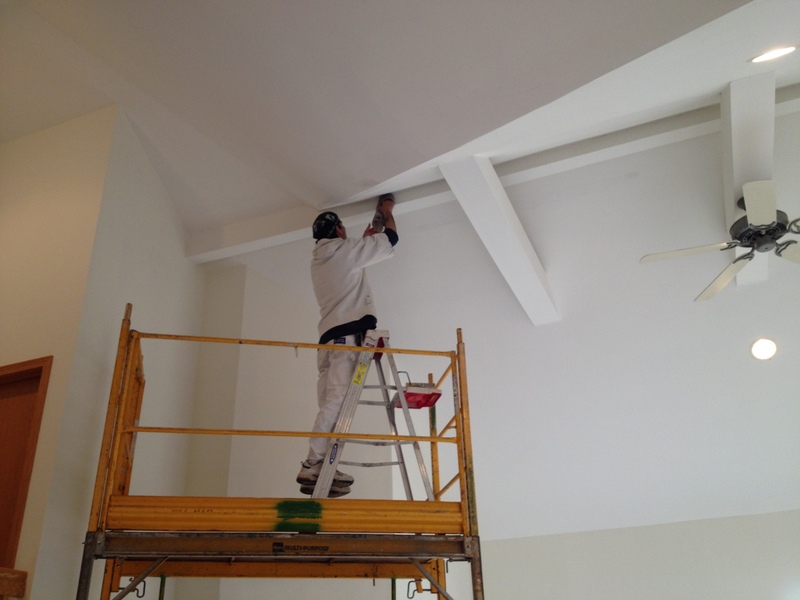 Here, we are prepping an old plaster ceiling with joint compound before sanding, priming, and painting. It will look great when finished with two coats of flat ceiling paint. 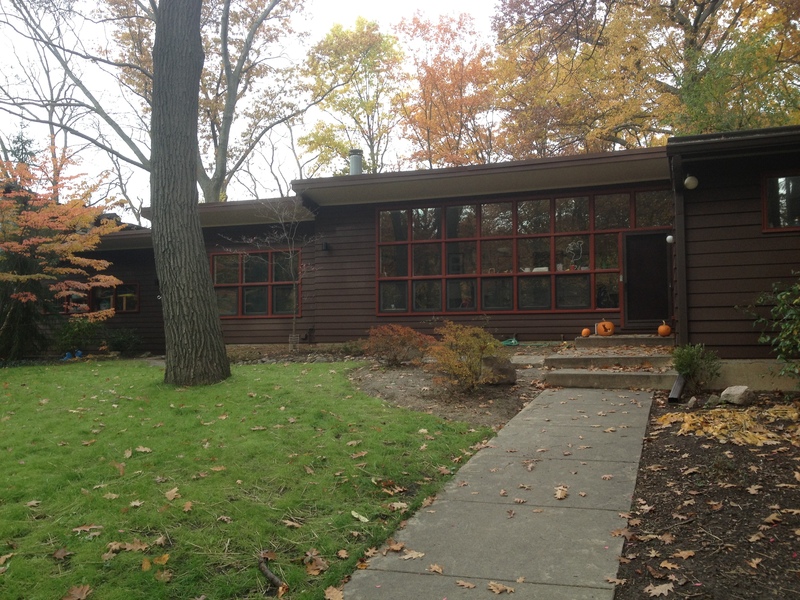 After very thorough prepwork, we applied two coats of Sherwin Williams Woodscapes solid color stain. 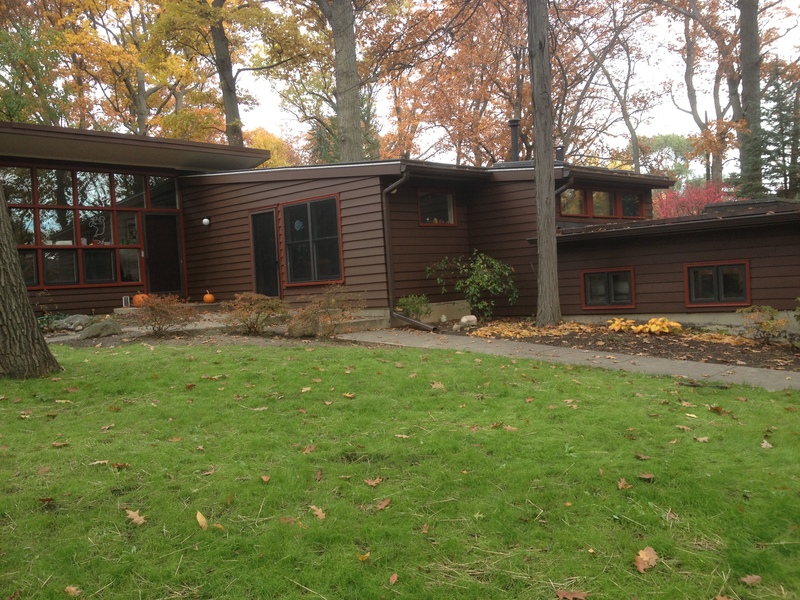 It looks like a flat paint, but is absorbed in the siding. This job will last for years. 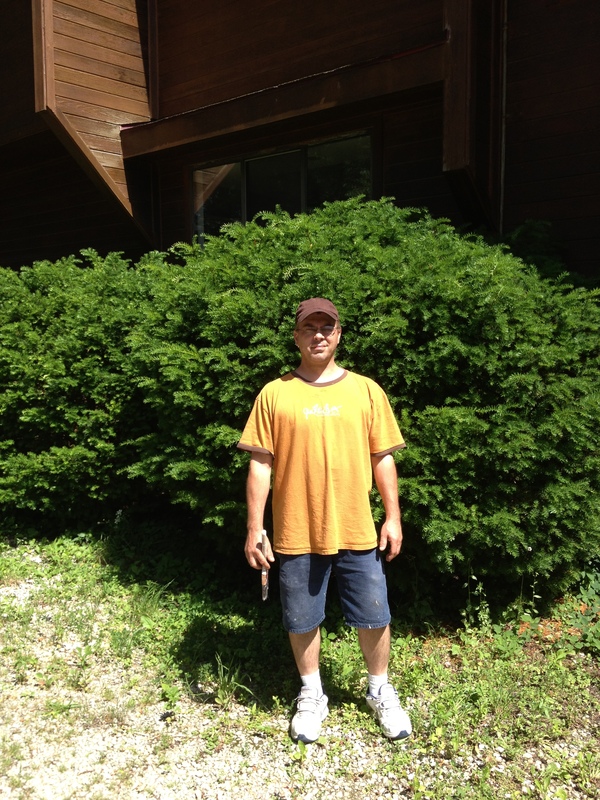 We also clean gutters & wash windows. 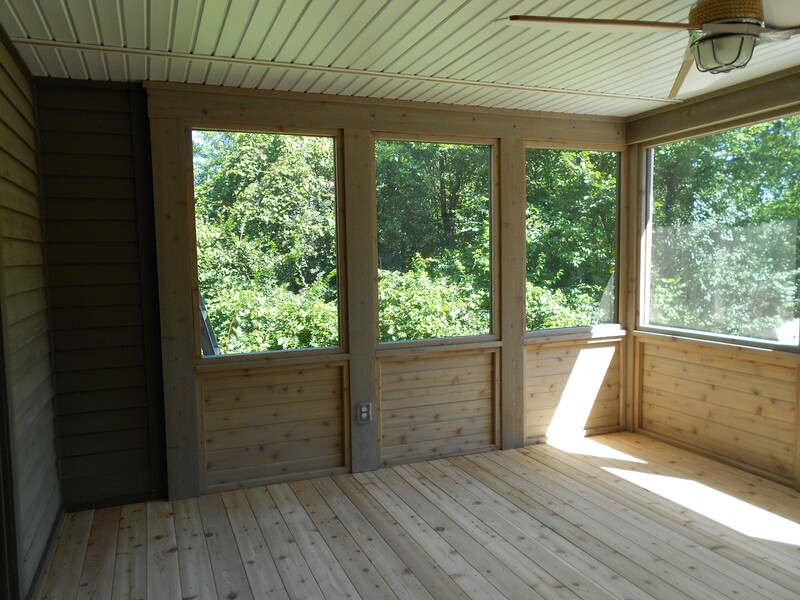 Clean windows can really enhance the look of a new paint job. 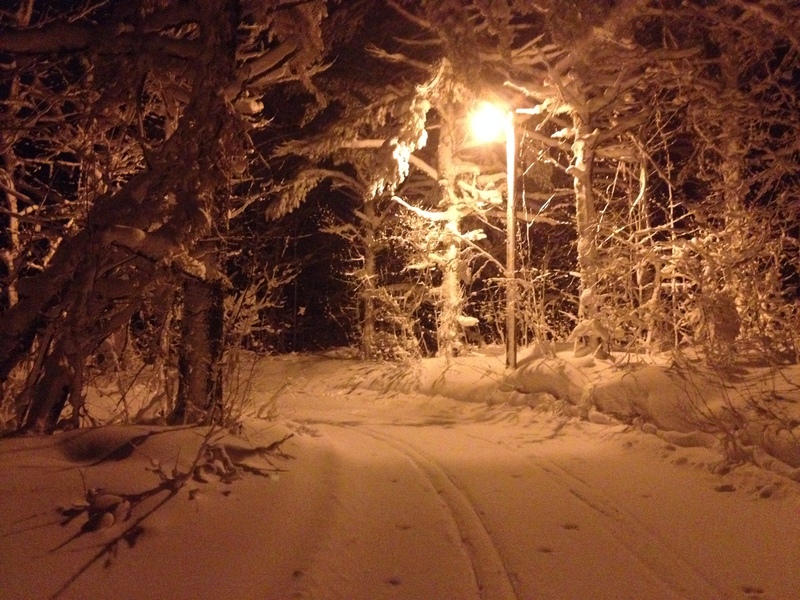 During my winter break, I like to cross-country ski in the U.P.